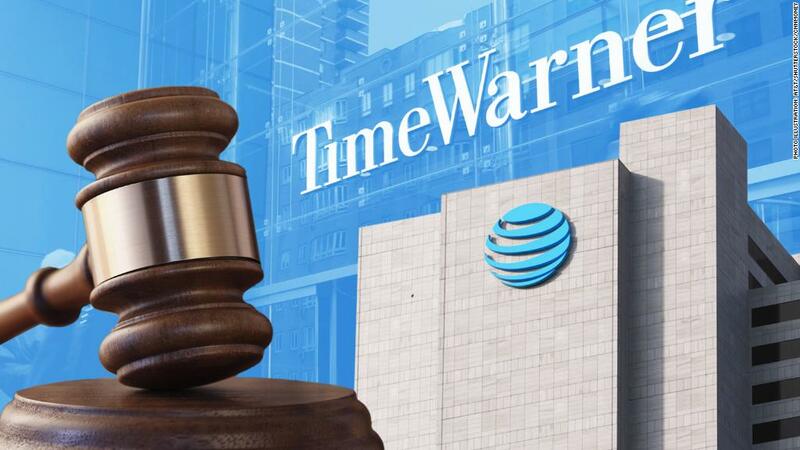 The AT&T-Time Warner decision will reverberate across big business. Corporate executives were watching Judge Richard Leon's decision closely. And they got what they were hoping for. His blessing in the AT&T case will embolden other companies to merge with less fear of regulatory interference. And companies with mergers already in the works, particularly in media and health care, will breathe easier. Every business is trying to answer the question of how to survive as Amazon upends one industry after another. And it's a great time to merge: Interest rates are low, stocks are near all-time highs, and companies are flush with cash. "Companies have to be breathing a sigh of relief," said Jonathan Pitt, co-chair of Williams & Connolly LLP's antitrust practice. The government's case was a rare and bold challenge that sent shivers through corporate boardrooms. AT&T's deal with Time Warner is a so-called vertical acquisition, because the two companies don't compete directly. AT&T sells internet, phone and video services, and Time Warner makes media content. Vertical mergers typically don't reduce competition, so US regulators very rarely fight to stop them. This is the first vertical acquisition that the US government has fought in court all the way to conclusion since 1979. Antitrust experts say the Justice Department's gamble blew up in its face. "Now it's open season for vertical mergers," said Chris Sagers, antitrust law professor at the Cleveland-Marshall College of Law. "The fact is that they've gotten a little easier and we'll see a big flurry of deals." Media companies in particular were crossing their fingers that the judge would rule in favor of AT&T. Disney is trying to buy most of 21st Century Fox, and Comcast is considering a Fox bid, too. But the AT&T-Time Warner decision is about more than media. Consolidation is happening in every corner of business. In the health care industry alone, CVS wants to buy insurer Aetna, Albertsons is trying to buy Rite Aid, and Cigna reached a deal for Express Scripts. All of those mergers are vertical and massive — worth tens of billions of dollars. That's why those companies were pulling for AT&T (T). And many of their rivals were paying attention, too, hoping to make deals of their own in the future. "This was a defining case for antitrust enforcement in the US," said Ketan Jhaveri, former Justice Department antitrust attorney and co-CEO of Bodhala, a legal tech platform. "The companies watching this decision are feeling a lot better today than they were yesterday." Related: What's the government's next move? As much as the ruling was a win for corporations, it was a big defeat for the cop on the antitrust beat. Leon made clear that this was not a close case. He knocked down just about every argument the government made. "It's grim," said Maurice Stucke, law professor at the University of Tennessee College of Law and former trial attorney in the Justice Department's antitrust division "I've never seen an opinion like this with so many exclamation points." Antitrust experts said that the government was very unlikely to win if it were to pursue an appeal. No one expects the antitrust division to give up like it did in 2004, after a devastating loss in its attempt to block Oracle from buying PeopleSoft. In that case, the judge all but laughed the Justice Department out of court, and the antitrust division didn't bring another case to trial for the better part of a decade. There are still plenty of so-called horizontal mergers to review. Those are deals between companies that compete. The biggies are Sprint and T-Mobile, Marathon Petroleum and Andeavor, and Keurig and Dr Pepper Snapple. But Tuesday was the division's first trial loss since Oracle — and a major embarrassment. "I think this is a pretty devastating loss for the government," Sagers said. "Even the parties of the biggest, ugliest vertical mergers will say, 'What are you going to do, sue me? Fine! Take us to court.'"